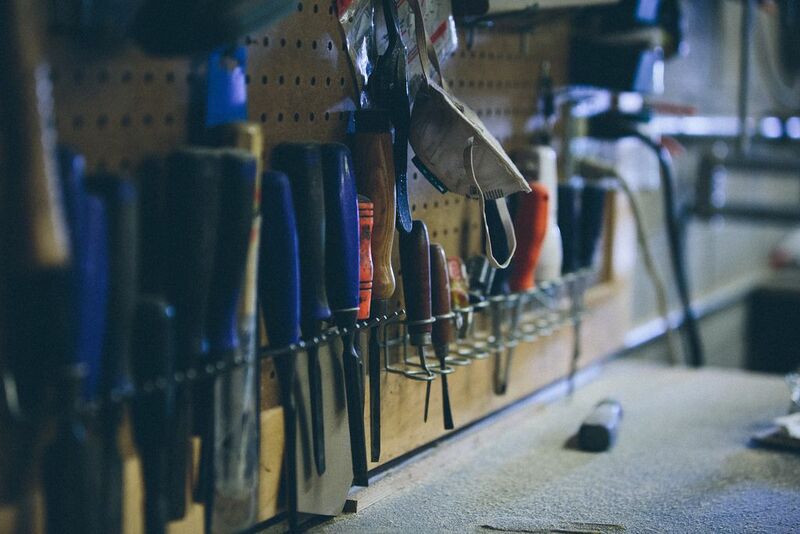 Today: We've loved Cliff Spencer Furniture Maker for years, but their inspiring story and new walnut utensil holder for the Shop made us fall even deeper. This past December, an ice skater glided through a winter wonderland behind a window at Barneys on Madison Avenue in Manhattan. The live performance and glittering arctic set, designed by film director Baz Luhrmann, created the illusion of a sloping, magical subterranean ice cave, stopping passerbys in their tracks. This display, along with hundreds of similar storefronts lining Madison and Fifth Avenue, are part of a time-honored tradition for retailers in New York City. For the year leading up to the holiday season, a team of carpenters and designers work to create alternate universes on miniature stages at department stores throughout the city. It was on the carpentry team for the Saks Fifth Avenue window studio that Cliff Spencer began his career in carpentry. 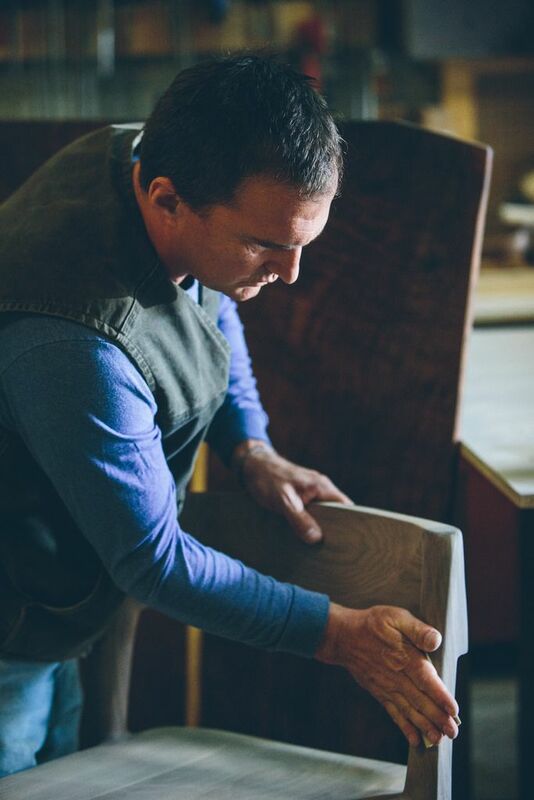 Born in Birmingham, Alabama, a city full of old-growth trees and wildlife, Cliff grew up with an affinity for woodworking and craftmanship. After graduating from Rhodes College in Memphis, Tennessee, where he built the sets for student plays including Shakespeare's The Tempest, Cliff moved to New York to pursue acting but found a job—and his passion—on the Saks carpentry team. Cliff's timing coincided with a movement away from mannequins and two-dimensional cutouts into innovative, striking window art requiring advanced woodworking skills. Without any previous professional experience, Cliff learned at the carpentry bench, picking up woodworking techniques during his shifts while attending auditions in between. In an email to me, he remembered, "Once the [Christmas displays] were approved for the flagship store, we had to rush to make more to ship out to all the other Saks stores nationwide. We were working nonstop to make the deadline." He recalled one foreman who was an ex-punk bass player from Norway named Lars. Whenever the team would finish a display to his approval, Lars would yell, "Good enough for Santa! Ship it!" (a tradition Cliff maintains in his Los Angeles woodworking studio to mark the completion of laborious pieces of furniture). Cliff with his wife, Leigh, in their woodworking studio in Marina del Ray, Los Angeles. When Cliff moved to Los Angeles two years later to pursue film acting, after the woodworking shop closed down in 1997 (Saks now hires out for window displays), it didn't take him long to make the switch from "the thing he was good at to doing the thing he wanted to do," as his wife, Leigh Spencer, told me over the phone. 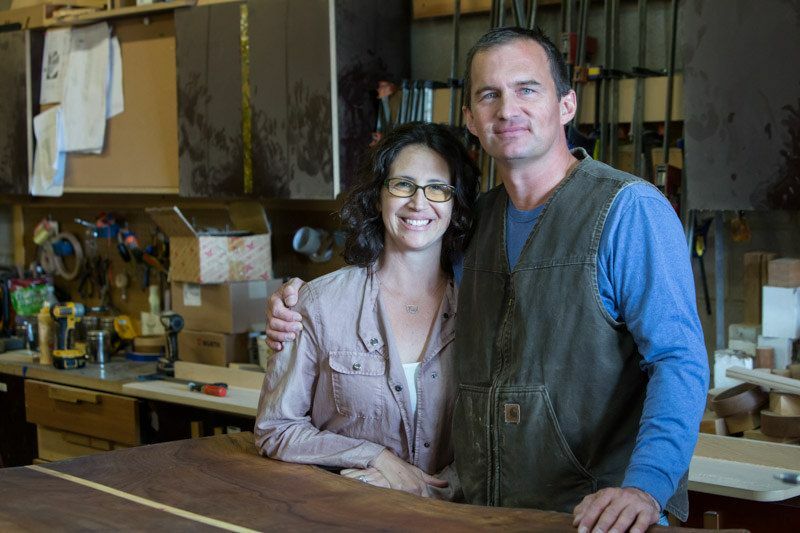 Leigh, a native Angeleno, and Cliff launched Cliff Spencer Furniture Maker in 2004, the same year they got married. As with carpentry, the couple learned the ins and outs of running a small business as they went along. "We had this idea," Leigh remembered, "that he was going to make one piece of furniture a month." But it didn't take long for Cliff's talent for creating sleek and detailed furniture to get discovered. 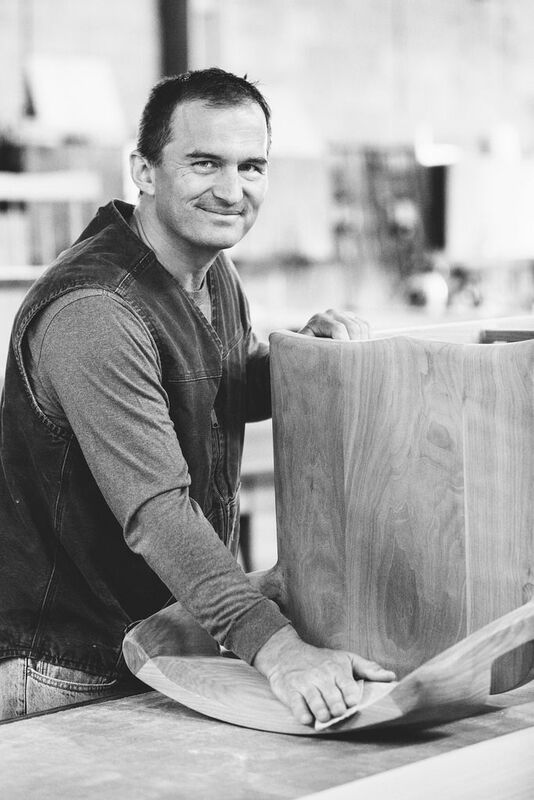 When the housing boom hit Los Angeles a few years later, he expanded his company into cabinetry and began furnishing entire homes, experimenting with unique materials like the discarded oak from used wine barrels. His smaller pieces originated out of the scraps of these larger projects. Cliff Spencer's compost bin is perfect for urban composting. Leigh recalled the inspiration for the compost bin sold in our Shop. "Cliff realized my mom was putting all of her kitchen scraps into an old plastic salad box, so he replaced it with a wood bin made from walnut scraps," Leigh said, "It was just this super simple way to make her kitchen look beautiful." 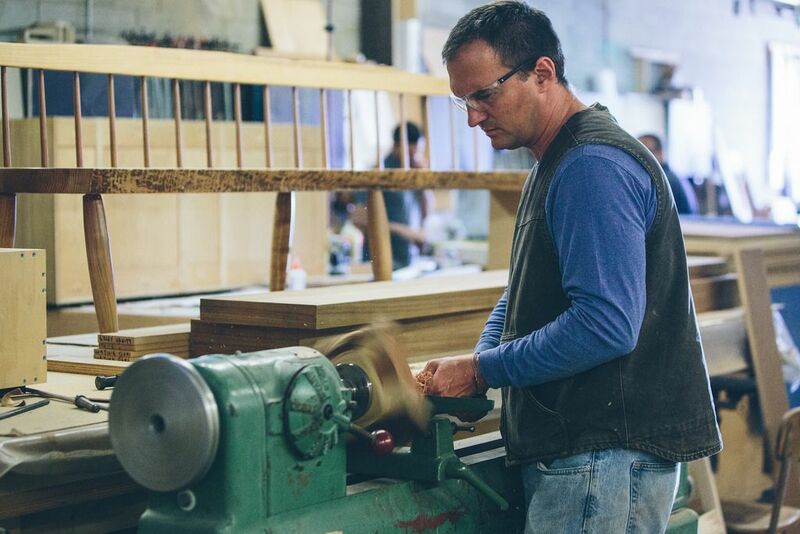 Cliff and Leigh started making the bins for clients out of the wood scraps from their kitchen cabinetry projects as a parting gift after projects. 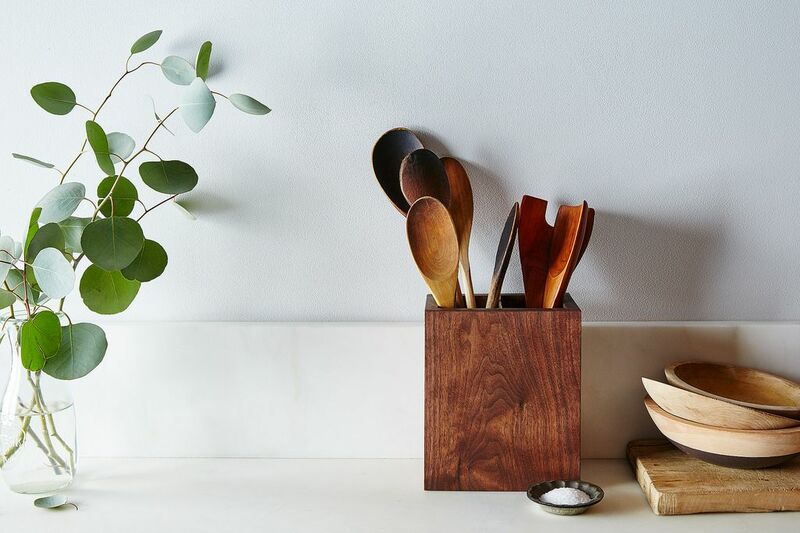 The inspiration for the new utensil box, created exclusively for Food52, also came naturally. Cliff and Leigh wanted to create another wooden kitchen accent, but struggled to find a design they were satisfied with. Leigh explained, "When you’re working with simple things, there’s only a couple alterable factors like dimension, materials, and functionality." As Leigh and Cliff brainstormed the design, they looked up and a light went off—or rather, a light fixture. The couple spied a fixture in their warehouse that encompassed what they wanted to impart in the utensil box. "I'm actually looking at it right now," Leigh said, laughing and trying to describe to me the natural beauty of the shape. Cliff Spencer's utensil holder, created exclusively for Food52, is the perfect marriage between style and function. The final product is a minimalist, sturdy walnut holder with beauty in the details. A removable walnut divider makes the box customizable, and a metal drain at the bottom keeps moisture from collecting. As with any natural-grain wood product, the grain of the walnut varies from from box to box, so each holder is unique. Leigh, who is already planning on bringing her own utensil box home from the studio, said, "We buy the wood that’s not considered 'good' because it’s more interesting. We don’t want consistency—we want to see different things going on in [the grain]." She added, "The whole process of picking it out, getting it, deciding how to cut it—it’s such an exciting process." The aesthetic of the products from Cliff Spencer Furniture Maker, as well as the Spencers' own home, is a far cry from the overelaborate displays that Cliff started off building. Instead, they believe that having a beautiful home is all about having a few select pieces, rather than a counter full of items. Leigh said, "There’s something about putting things in your home that you are attracted to and making the decision to buy them because you think they're going to bring you joy. Then you can buy things that are a bit more expensive but that are beautiful as opposed to just functional." We'd argue that it's sometimes those simple pieces that are the most dazzling.